I’m not sure what came over me after my post last week, but I suddenly got the urge to switch this quilt up a bit in order to feel more excited about it. I wanted it to be a little less pretty, and a little more “funky.” I can’t remember exactly how the idea came to me (probably surfing instagram) but somehow I decided that it would be more interesting (or at least more “me”) if I varied the backgrounds. Thankfully I only had 3 Marmalade striped ones completed so I’ll be able to use them no problem. (That also leaves me yardage of the Marmalade stripe, which will be great for a backing or 2). Then I decided that I’m going to leave out the sashing… which of course means I’m going to need 30 (instead of 20) flowers. I’ve done 9, and I’m going to try to knock the rest out 3 at a time for a week or so. Maybe a little longer since I’m eventually going to need to make more petals. I’m much more excited about this project now though. It would have been very pretty the other way too, but my goal for this year was to really focus on producing quilts I love and determining how and why that happens. I think I’m going to love this one. This entry was posted in Uncategorized and tagged WIPs. Bookmark the permalink. I really like it, is it hard to press those pieces so pretty? I love mixing up my background fabrics. It’s a subtle difference usually, but adds an extra little bit of spark. Lovin’ your flowers! Wow I’m really excited about this one! 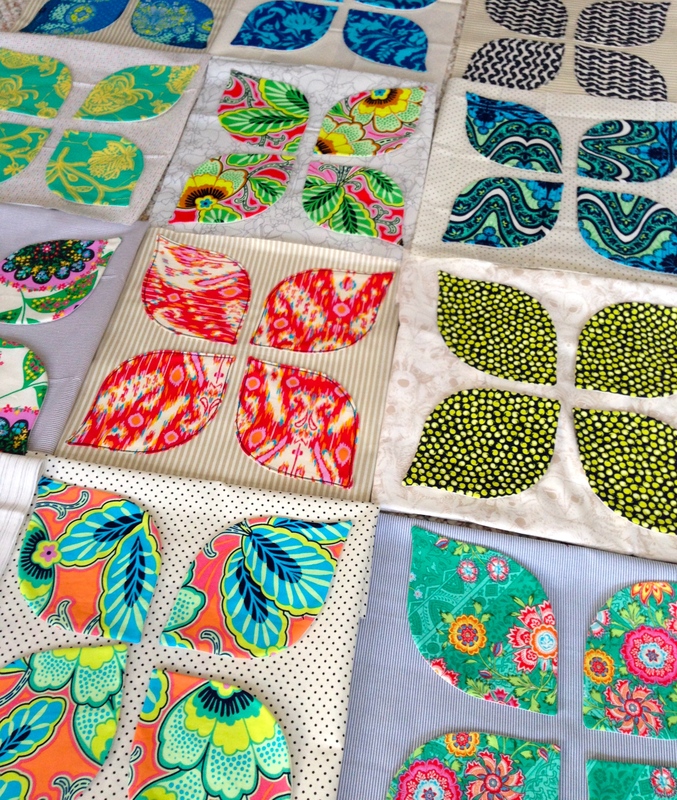 I’m so glad to hear about quilters really listening to themselves and then going for it! I love the choices you made. The varying backgrounds look great and I’m a big fan of no sashing! I’m looking forward to seeing how it turns out! Woo hoo! Go Amy Butler, go! 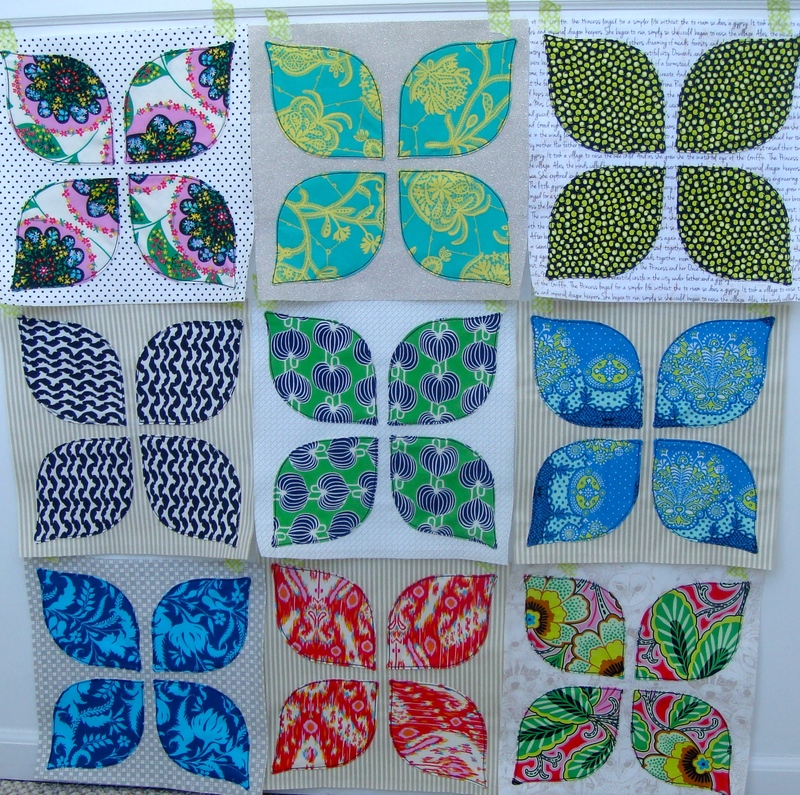 You’ve got a whole bunch of the same prints as I have in my Happiness quilt, so I’m guaranteed to absolutely love it! Love the different backgrounds! I think ‘funky’ is the exact right word to describe it!! 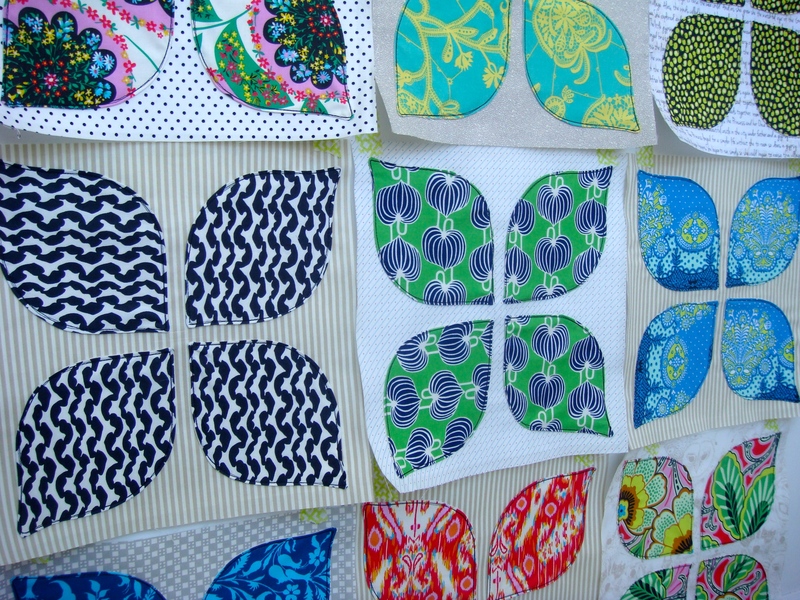 You have so many interesting fabrics in this quilt! This does reflect YOU better! It is such a fun quilt. Happy, happy! Yep! Much for funky now!!! LOVE IT! Yes! I love it. Can’t go wrong with this pattern and the fabrics. I’m really liking this too! There is something about this quilt. Beautiful fabrics and colors too. Oh girl! These are just amazing…Let’s get funky:) Love it. I can’t even stand how much I love this quilt.